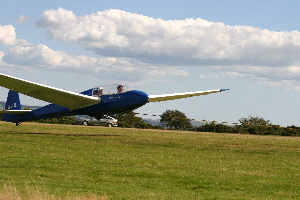 We would like to offer you, or a loved one, the opportunity to experience powerless flight with a fully qualified pilot in one of our dual controlled gliders. 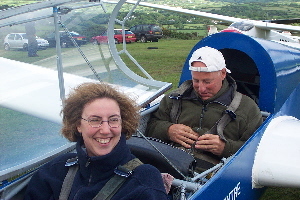 Come and marvel over stunning scenery in an adrenaline packed trial flight over Dartmoor. Vouchers are valid for a period of one year and entitle the recipient to their first flight and three months membership of the club. This membership starts on the date of their first flight. All flights are with a fully qualified pilot. Subsequent flights will be charged at club rates. We believe this is superb value for money and a truly original gift idea - whether it's for a birthday, anniversary or even a Christmas present - they won't be disappointed. Alternatively why not treat yourself?